Now that I've got Metallica running properly I have been able to start playing around a little bit. Disclaimer I have absolutely no Idea what I'm doing, But I never let that stop me before! 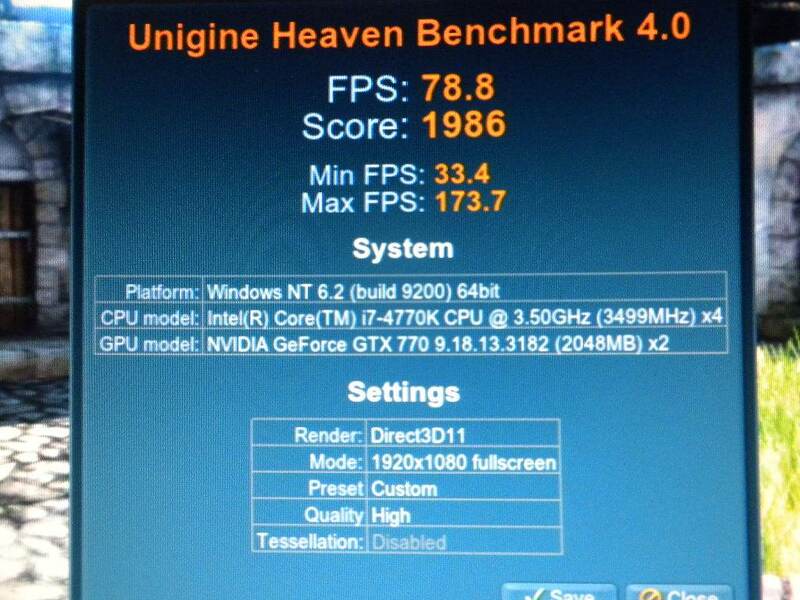 I started chasing your quick overclock on Evo Just to give me something to shoot for. 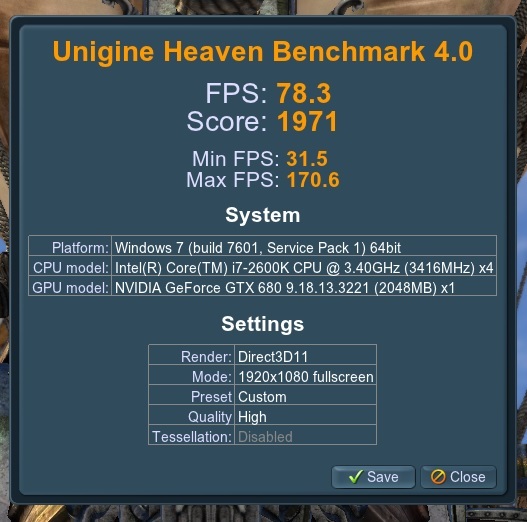 I know this isn't your best mark and feel free to post any newer benchmarks here so I know just how far off I am. I appreciate you inspiring me to start playing around. It's a lot of fun and a little scary ha ha. 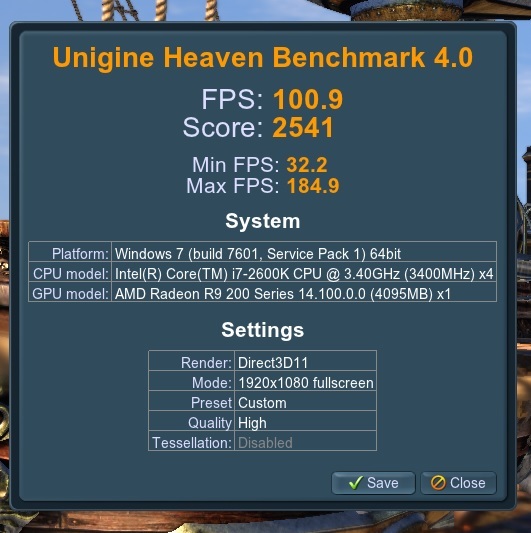 I tried to match your settings on Heaven 4.0 as good as I could tell from your screen shot. If you want to list all your settings if I missed anything so I am apples to apples. I was having troubles getting the saved screen shot on the forum, so I just took a pic of it until I can figure out my problem. My best cpu was 4.899 but this was at 4.8 this is 1 card the 2 card was 150.1 FPS it seems to be running cool / max 61C I'm not sure what the voltage was .Anyway Cheers Mate. That's what I run with on a day to day basis, I think it demonstrates that 770's are basically just renumbered and tweaked 680's. I agree on the 770's it's the same card so it's more what you do with it. In the end I doubt I will be able to match your scores, because of your experience. The scores are dead even now. I'll see If I can get some time tomorrow to play with it some more? I'm just happy to have something worth benching! all the gear I've had before was to far behind the cutting edge it wasn't worth it. I like to have some measuring programs open while I'm benching. Does that effect your scores in one way or another? Still plenty of gas in the tank for those twin 580's, with 4K gaming looming for the mainstream market it will actively encourage nVidia and AMD to finally produce drivers worthy of the hardware; Motherboard manufacturers will also have to up their game in both the Cross Fire and SLi stakes also. you showing off again Paul. Behave my son, these southerners lol.